Just 12 hours ago, I posted a brief piece about the continuing Europtechnopanic in Germany and the effort of publishers there to blame their every trouble on Google—even the so-called sin of free content and the price of metaphoric wurst. Now Germany one-ups even itself with the most amazing specimen of Europtechnopanic I have yet seen. 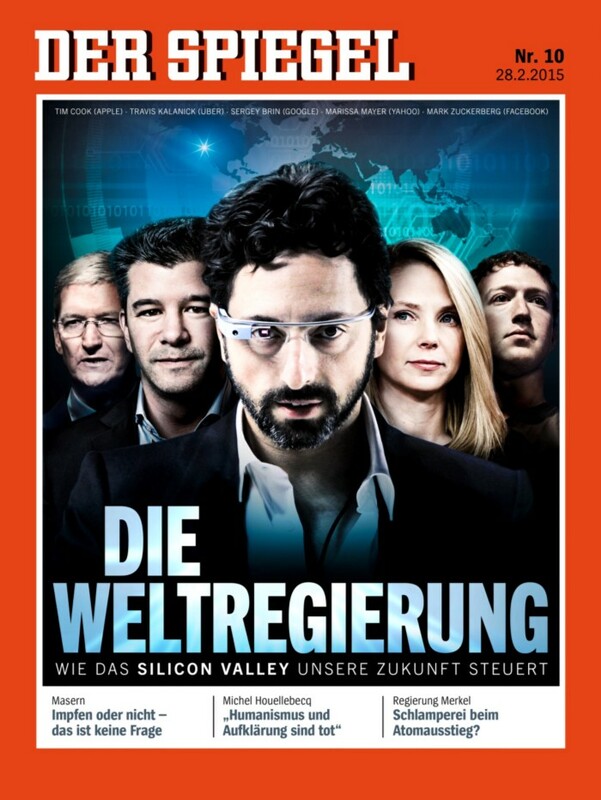 The cover of Der Spiegel, the country’s most important news outlet, makes the titans of Silicon Valley look dark, wicked, and, well—I just don’t know how else to say it—all too much like this. I bought the issue online—you’re welcome—so you can read along with me (and correct my translations, please). Ah, yes, German publishers want to regulate Google—and now, watch out, Facebook, Apple, Uber, and Yahoo! (Yahoo? ), they’re gunning for you next. Digitalization, you see, is not just a spectre haunting Europe but a dark force overcoming the world. Must it be stopped? We’re merely asking. The article then takes us on a tour of our new world capital, home to our “new Masters of the Universe,” who—perversely, apparently—are not concerned primarily about money. “Power through money isn’t enough for them.” It examines the roots of their philosophy from the “tradition of radical thinkers such as Noam Chomsky, Ayn Rand, and Friedrich Hayek,” leading to a “strange mixture of esoteric hippie-thinking and bare-knuckled capitalism.” Spiegel calls it their Menschheitsbeglückungswerks. I had to ask Twitter WTF that means. 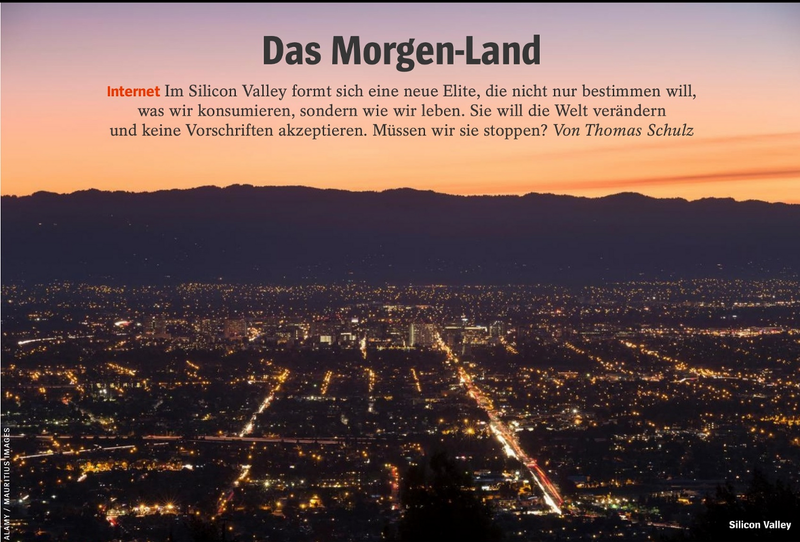 Spiegel then visits four Silicon Valley geniuses: singularity man Ray Kurzweil; the conveniently German Sebastian Thrun, he of the self-driving car and online university; the always-good-for-a-WTF Peter Thiel (who was born in Germany but moved away after a year); and Airbnb’s Joe Gebbia. It recounts German President Joachim Gauck telling Thrun, “you scare me.” And it allows Thrun to respond that it’s the optimists, not the naysayers, who change the world. I feared that these hapless four would be presented as ugly caricatures of the frightening, alien tribe of dark-bearded technopeople. You know what I’m getting at. But I’m relieved to say that’s not the case. What follows all the fear-mongering bluster of the cover story’s start is actual reporting. That is to say, a newsmagazine did what a newsmagazine does: It tops off its journalism with its agenda: frosting on the cupcake. And the agenda here is that of German publishers—some of them, which I explored last night and earlier. They attack Google and enlist politicians to do their bidding with new regulations to disadvantage their big, new, American, technological competitors. And you know what? The German publishers’ strategy is working. German lawmakers passed a new ancillary copyright (nevermind that Google won that round when publishers gave it permission to quote their snippets) and EU politicians are talking not just about creating new copyright and privacy law but even about breaking up Google. The publishers are bringing Google to heel. The company waited far too long to empathize with publishers’ plight—albeit self-induced—and to recognize their political clout (a dangerous combination: desperation and power, as Google now knows). Now see how Matt Brittin, the head of EMEA for Google, drops birds at Europe’s feet like a willing hund, showing all the good that Google does indeed bring them. I have also noted that Google is working on initiatives with European publishers to find mutual benefit and I celebrate that. That is why—ever helpful as I am—I wrote this post about what Google could do for news and this one about what news could do for Google. I see real opportunity for enlightened self-interest to take hold both inside Google and among publishers and for innovation and investment to come to news. But I’m one of those silly and apparently dangerous American optimists. As I’ve often said, the publishers—led by Mathias Döpfner of Axel Springer and Paul-Bernhard Kallen of Burda—are smart. I admire them both. They know what they’re doing, using the power of their presses and thus their political clout to box in even big, powerful Google. It’s a game to them. It’s negotiation. It’s just business. I don’t agree with or much like their message or the tactic. But I get it. Then comes this Scheißebombe from Der Spiegel. It goes far beyond the publishers’ game. 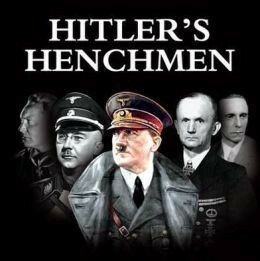 It is nothing less than prewar propaganda, trying to stir up a populace against a boogeyman enemy in hopes of goading politicians to action to stop these people. If anyone would know better, you’d think they would. Schade.